What!? You haven't heard Nanoir or Last Color yet? Nanoir and Last Color...the two Vocaloid albums I've had on repeat for the past three days. SCL Project feat. VanaN' Ice - Last Color. 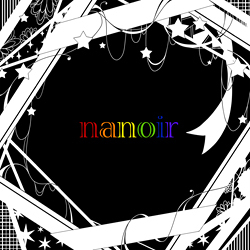 Firstly, Nanoir is a twelve track album by Nano (ナノ), and includes collaborations with producers such as Yuyoyuppe, buzzG, and neko. The great thing about this album is that Nano took well known Vocaloid songs and rewrote the Japanese lyrics with his/her own English lyrics. Nano's English lyrics are very meaningful and full of emotion, listening to them makes me feel like crying. These lyrics reflect my own thoughts and feelings, and they bring back distant memories from my past. This is a very rock-based album. The songs on this album reminds me of songs by the rock singer Avril Lavigne and the Japanese rock band ONE OK ROCK. I believe Nano him/herself provided the vocals for this album. Nano concludes Nanoir with a calming piano version of Calc., a big contrast with the other heavier songs in the album, and the song brings happiness to the listener. Secondly, Last Color is the latest, and sadly the final collaboration album by VanaN' Ice and SCL Project. 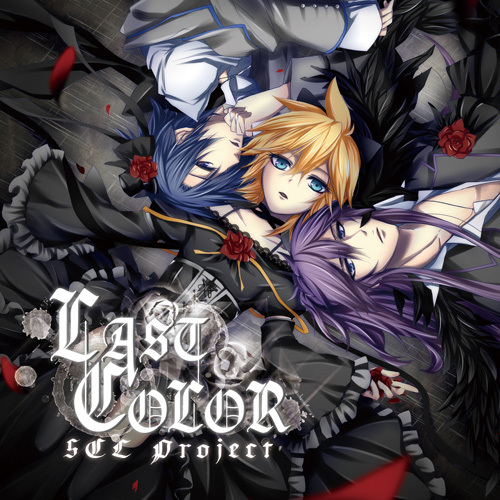 This album features well known Vocaloid songs from their first album "VanaN' Ice", such as Imitation Black, Arrest Rose, Setsugetsuga and LovelessXXX. This album is sung solely by the three most famous male Vocaloids Len Kagamine, Kaito and Gakupo. This is also the main reason why I love this album, because I am forever a fan of "GxKxL". The vocals of the three Vocaloid boys work so well and so harmonious together. Of the various new songs SCL Project composed in this album, my favourite would be the third track "Le rouge est amour" because the style of the song reminds me of the Visual Kei band Malice Mizer. I would classify the style of music of this album under Visual Kei, especially considering the apparels of the three boys on the album art. I will sorely miss the collaboration team VanaN' Ice and SCL Project, however it has been reported that both groups will continue to produce more Vocaloid music individually - something I'm definitely looking forward to! Guess what? That popular game Temple Run that was on iOS is now available on Android. Finally. Featuring stolen idols, evil monkeys, coins and everything else in there, waiting for you to grab and go! It has been really popular on the iOS platform with over 45 million downloads. So what are you waiting for? Download it now! Let's be honest here, I am a huge Doctor Who fan, and when I saw this trailer, I couldn't stop screaming (inside that is). I've embedded the YouTube trailer below. The new season will see the last days of the Ponds, with Karen Gillan and Arthur Darvill making their final rollercoaster voyage with The Doctor (Matt Smith). Amy (Karen Gillan) and Rory (Arthur Darvill) have been at the Doctor's side for more than two seasons but what will he do after their heartbreaking departure? New guest stars so far confirmed to star will include David Bradley, Rupert Graves and Mark Williams. Season 7 will then see a dramatic turn of events when The Doctor meets a new friend - the recently-announced new companion, played by Jenna-Louse Coleman. Prepare yourselves for thrills, adventures and dramatic surprises as the show builds towards its enormous, climactic 50th anniversary year. If you are a Doctor Who fan, you will too be excited by this new series. Coming soon later this year. For now, we just gotta wait. It seems that the Humble Bundle has added yet another game to their #2 pack! Humble Bundlers can now download Snuggle Truck on to their various platforms now! If you have already purchased the Bundle, it will automatically appear on your downloads page (and/or Steam). In Snuggle Truck, you must overcome treacherous terrain get your cargo of precious stuffed animals safely to the zoo. As a bonus-to-the-bonus, Android users can also download the uncensored original: Smuggle Truck, the same game framed as an immigration satire, which was reportedly too spicy for some game marketplaces. That brings the Humble Bundle for Android #2 to a total of *six* new-to-Android games: Snuggle Truck, Zen Bound 2, Avadon: The Black Fortress, Canabalt, Cogs, and Swords & Soldiers. If you haven't already, head to the Humble Bundle site to pay what you want to get these games for your Android devices (and Windows/Mac/Linux too).